Passionate about "forming Saints and Scholars”, Elizabeth (Liz) Nuzzolese ("Ms. Nuzz") is humbled and honored to serve as Vice Principal at SMCES. Liz is a proud NY native and Santa Monica transplant. 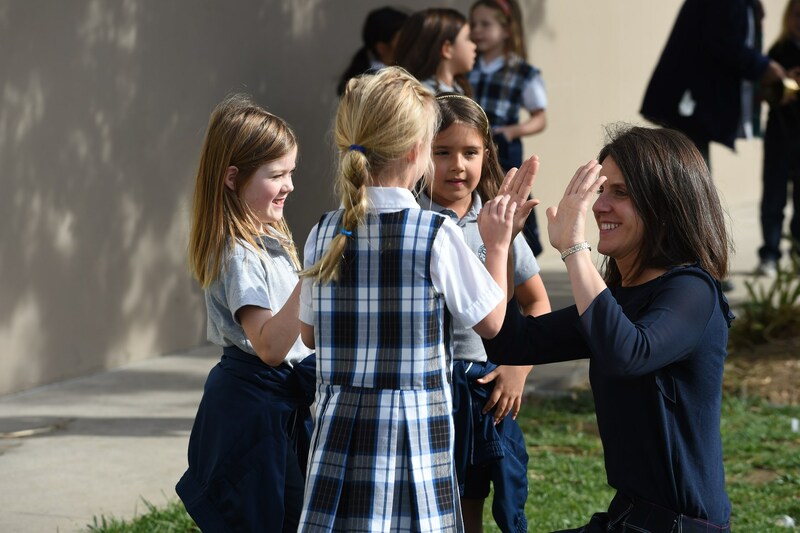 She lives out her vocation to Catholic Education and has served in various teaching and leading capacities in the Archdiocese of Los Angeles over the past ten years. Liz holds degrees in Elementary & Special Edu from Providence College, Childhood & Adolescent Literacy from Loyola Marymount University, and Catholic School Leadership & Administration from The University of Notre Dame. As a firm believer in lifelong learning, Liz continues to learn, most recently, as a Teaching Assistant at The University of Notre Dame for graduate courses in the area of School Culture. She is thrilled to continue to combine theory and practice together back at SMCES because all children can, will, and deserve to learn. Liz remains dedicated and fueled to her work in Catholic Education through the St. Monica 7:30pm Sunday Mass, celebrating life, volunteering, marathoning, swimming, and traveling domestically and internationally.